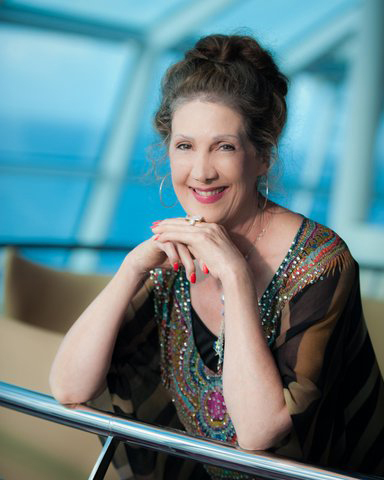 Lora Allison, founder and President of Celebration Ministries, has ministered in over thirty-five nations as well as teaching extensively across the United States. Rev. Lora Allison is a prophetic ministry, presenting the Word of the Lord with accuracy and love. She moves powerfully in the gifts of the Spirit, with a passion to see the whole person transformed wholly. Her ministry ignites the Presence of the Lord in a deep river, with signs and wonders following. Known for her clear, frank and scripturally grounded teaching, Lora delivers the Word with humor and love, making her ministry not only life changing but enjoyable as well. For a number of years she has been hosting dynamic conferences with focus toward the presence of the Lord and revival. Lora has written seven books. Her most recent book is Kingdom Alignment. Anointed to bring revelation of the often unknown realm of the Kingdom, this book is a unique blend of teaching, allegory and prophetic insight. Endorsements from leaders such as Chuck Pierce, Cindy Jacobs, Barbara Yoder and Dr. Stan DeKoven among others, hail it as a book of depth and clarity in addressing the heart of God toward His Kingdom. Founder and President of Celebration Ministries, Lora has ministered in over thirty-five nations, serving in Bible Schools, churches, and conferences as well as teaching extensively across the United States. Lora also co-founded and serves as President of Great Host Ministries International, a unique ministry serving to strengthen and unite women serving in leadership positions of five-fold ministry. I have partnered with Lora Allison for many years, and she is an incredible minister that can touch the heart of God and pull His glory into the earth realm. When the scripture declares that we are not to despise prophecy, of course we should not despise the messenger of a prophetic word either. Not everyone prophesying in the name of the Lord is accurate, true and anointed, but when you find a prophet of the Lord who is all the above and more, you are blessed to be in his or her presence. God is the one who chooses whom He will use, and He could not have chosen a better, more professional and passionate vessel as Prophetess Lora Allison. I have known Lora, experienced her ministry of edification, exhortation and consolation, and have seen amazing results from her personal and corporate teaching and prophetic ministry. Her accuracy in the prophetic is renowned, and her words for the church edify while passionately focusing the attention of ministry on Christ, for His church. I am honored to call Lora a friend and co-laborer for Christ. She is a truly awesome gift to the body of Christ. Dr. Kluane Spake, Ph. D.
Rev. Lora Allison is a remarkable world class prophet. She is consistently accurate and precise. To me, even beyond this obvious gifting, I have observed that she lives her daily life with definable personal values and integrity. She always lives in genuine, fervent passion for the Presence of the Lord. It is a cherished honor to be her friend and co-laborer.